Tom is frequently instructed in divorce/financial proceedings where a party faces restraint and confiscation proceedings in the Crown Court having been convicted or accused of a serious criminal offence such as fraud, money laundering, drug/people trafficking. This is a factor that complicates the financial aspects of the divorce and Tom has a great deal of expertise in this area. Tom is instructed by prosecuting authorities such as the Serious Fraud Office as well as the Organised Crime Division of the Crown Prosecution Service as intervener in ancillary relief cases in the Family/County Court as well as in the Crown Court. He is instructed by the Crown as well as by the parties themselves and affected third parties. Tom is currently representing the Crown Prosecution Service in the Gohil litigation that has recently been before the Supreme Court and is now ongoing once more in the High Court. Tom is always pleased to receive instructions from clients on a direct access basis. If you are considering instructing Tom, then he would welcome the opportunity of speaking to you on the telephone or Skype prior to being sent your papers. Subject to the complexity of the issues on the case, there is usually no fee for a preliminary consultation of this nature. Tom is noted for his 'expertise in matrimonial finance work' by the Legal 500 Bar Directory 2018 - Tier 1. Tom is recommended by the Legal 500 Bar Directory 2016 for his expertise in the Regional Bar - South Eastern Circuit. Tom Tyler - A finance specialist. Legal 500 Bar Directory 2015. 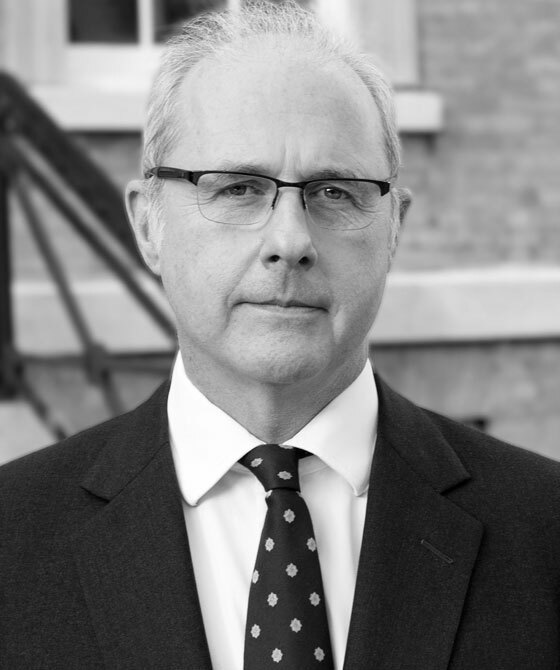 Legal 500 UK Directory 2013/14/Family: "3PB’s Tom Tyler is ‘very meticulous, sharp and to the point’." I would like to whole heartedly thank you for all your support-along with your re-assuring manner & diplomacy, you were worth every penny. September 2017, From Mr B in London: "Mr Tyler is a warm friendly person, he is highly knowledgeable and dealt with my situation thoroughly. "I was extremely pleased how Mr Tyler dealt with my case, I was not expecting the outcome I received. "Highly recommended and I would definitely work with again. "Thank you again Mr Tyler." August 2017, From Mrs A in Surrey: "Thank you so much for your direction yesterday. You were absolutely amazing and I am so glad you acted for me. "I just wish I had you at my previous hearings as I have been led up the garden path. "You are so professional, firm and of course your years of experience gave me the best result. There was as you say significant risk of losing my home if I were to have had a different barrister who knows I could have been led up garden path again? "Thank God I had you. You’re a great man and warm hearted!" August 2017, From Mr P in Bristol: "Tom Tyler was unflappable. He very quickly gained a good grasp of the situation and laid things out clearly for me so that I could understand what my options were. "I was particularly impressed with the way Tom dissected my extremely complex financial position and laid it out clearly in such a way that it was impossible for the opposition to dispute it. Had I not had the benefit of an expert Counsel in Tom who was well versed in financial matters and who knew how to display and tabulate them in an easy to understand way things may not have gone as well and I could have easily lost the case. Thank you." August 2017, From Ms B in West Sussex: "Thank you for coming to my aid so generously. I feel very blessed to have been represented by you and am deeply grateful for your help." Tom Tyler is qualified to accept instructions directly from members of the public and professional clients under the Direct Public Access scheme.